The first trailer for Righteous Kill is online. 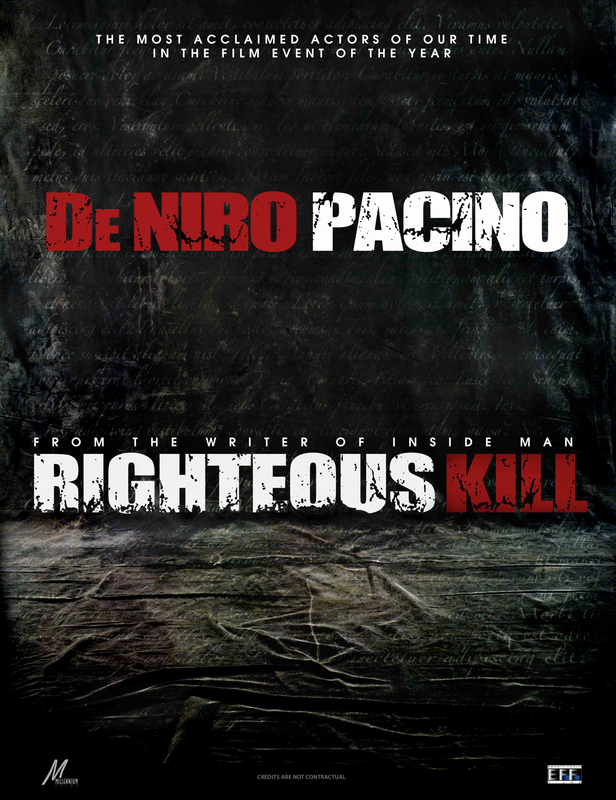 RK stars Al Pacino and Robert De Niro as NYC detectives that are hunting a serial killer that may be a fellow cop. While De Niro and Pacino were borth in Heat, they only had one real scene together. This time around they will share the screen for most of the film. RK has a pretty strong cast with Golden Globe winner Brian Dennehy (Cocoon, Best Seller), John Leguizamo (To Wong Foo Thanks for Everything, Julie Newmar, Ice Age), Carla Gugino (Sin City, Spy Kids, A Night at the Museum) and rapper 50 cent.